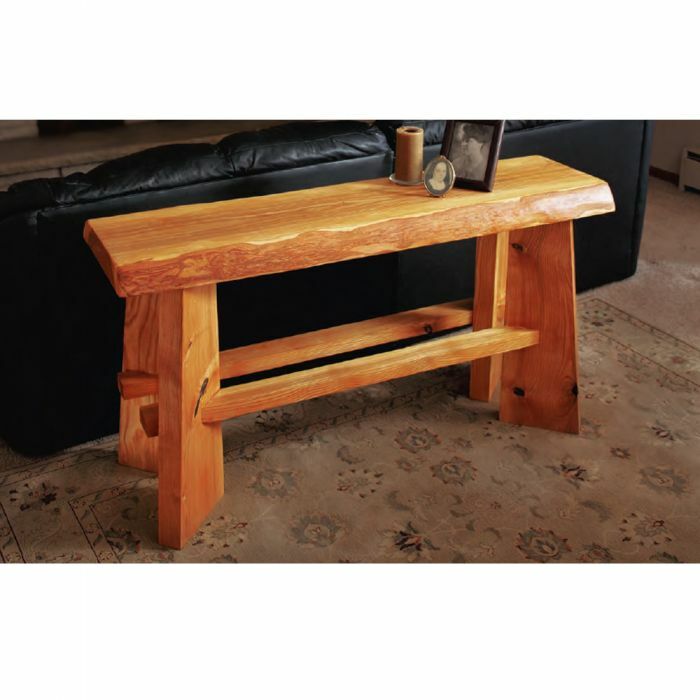 This rustic sofa table uses wood sources from a local sawmill. At just over 3’’ thick, this lumber provided our editor with a workout and a hefty piece of furniture at the end of the process. This downloadable plan from Woodworker's Journal is designed to guide you through creating your own slab top sofa table. Slabs can be visually stunning and a strong conversation piece.